This combination of hearty vibrantly-colored vegetables along with garlic and a mild, flavorful curry will tempt your little one’s taste buds and help develop their palate for savory goodness. 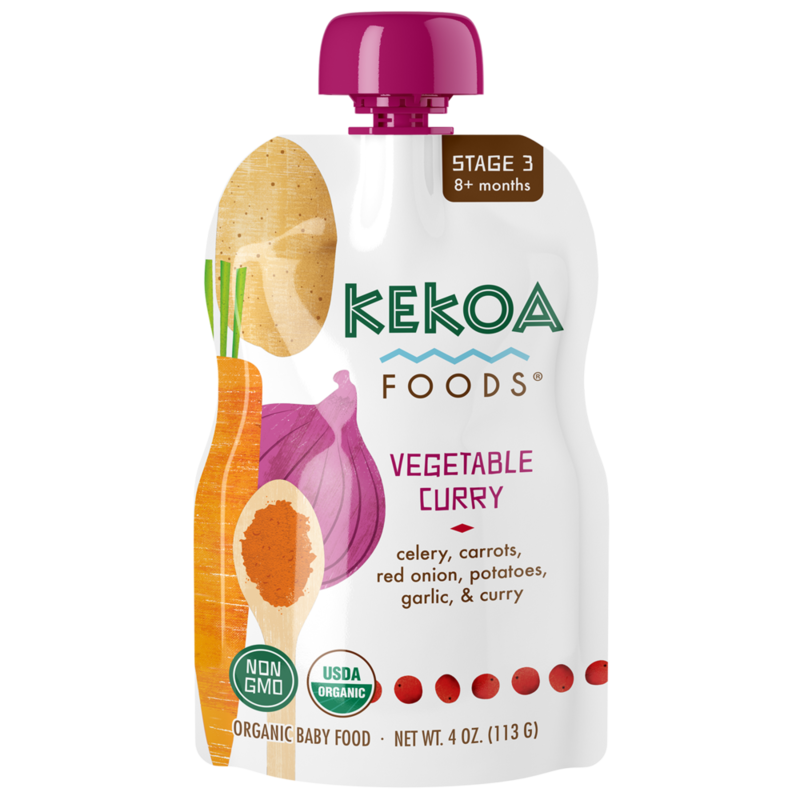 At Kekoa Foods, we don’t add water to our flavorful and nutrition-packed combinations. We make and use our own vegetable stock rich in flavor, color, and nutrition so your little warrior doesn’t get anything less than nature intended. Our vegetable stock is created by combining and simmering organic purple sweet potatoes, organic leeks, organic carrots, and organic Italian parsley. Currently not available for sale.